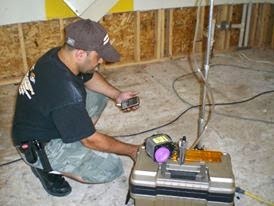 As you might know I do a lot of mold remediation or like others like to call it, mold removal. Here is a video of a product that I have seen in use. Its called Humidex and its one of the best out there. It is a simple mechanism that will exhaust all air borne particles out of you house including humidity. This translate that your basement will be dry! Humidity is one of our biggest problems out here in New England. This system will definitely keep your basement and home healthy, that includes YOU! You will spend less compared to a dehumidifier. Just keep in mind that you do not install a humidex in a area that has mold. The area must be remediated first then you can install a humidex or any mechanical system similar to the humidex that will pull air out of the living space. If you like this post please comment, like and share. homes, offices, hospitals, food storage facilities, a reality. Now this is some cool stuff. anything like this in someone's home. If you like this post please like and share. Generally, it is not necessary to identify the species of mold growing in a residence, and EC&R does not recommend routine sampling for molds. Current evidence indicates that allergies are the type of diseases most often associated with molds. Since the susceptibility of individuals can vary greatly either because of the amount or type of mold, sampling and culturing are not reliable in determining your health risk. If you are susceptible to mold and mold is seen or smelled, there is a potential health risk; therefore, no matter what type of mold is present, you should arrange for its removal. Furthermore, reliable sampling for mold can be expensive, and standards for judging what is and what is not an acceptable or tolerable quantity of mold have not been established. After a flood, Mold will grow in your house. It can make you sick. You will need to clean your house. Take things that were wet for 2 or more days outside. Things that stayed wet for 2 days have mold growing on them even if you can’t see it. Take out stuff made of cloth, unless you can wash them in hot water. Also take out stuff that can’t be cleaned easily (like leather, paper, wood, and carpet). Use bleach to clean mold off hard things (like floors, stoves, sinks, certain toys, counter tops, flatware, plates, and tools). Never mix bleach with ammonia or other cleaners. Wear rubber boots, rubber gloves, goggles, and N-95 mask. Open windows and doors to get fresh air when you use bleach. Mix no more than 1 cup of bleach in 1 gallon of water. Wash the item with the bleach and water mixture. If the surface of the item is rough, scrub the surface with a stiff brush. Rinse the item with clean water. Dry the item or leave it out to dry. If you plan to be inside the building for a while or you plan to clean up mold, you should buy an N95 mask at your local home supply store and wear it while in the building. People with asthma, allergies, or other breathing conditions may be more sensitive to mold. People with immune suppression (such as people with HIV infection, cancer patients taking chemotherapy, and people who have received an organ transplant) are more susceptible to mold infections. People who are sensitive to mold may experience stuffy nose, irritated eyes, wheezing, or skin irritation. People allergic to mold may have difficulty in breathing and shortness of breath. People with weakened immune systems and/or with chronic lung diseases, such as obstructive lung disease, may develop mold infections in their lungs. If you or your family members have health problems after exposure to mold, contact your doctor or other health care provider. Sight. Are the walls and ceiling discolored, or do they show signs of mold growth or water damage? Smell. Do you smell a bad odor, such as a musty, earthy smell or a foul stench? Not sure?. Contact a repeatable mold inspector in your area. Clean up and dry out the building quickly (within 24 to 48 hours). Open doors and windows. Use fans to dry out the building. See the fact sheet for drying out your house, Reentering Your Flooded Home. If you wish to disinfect, refer to the U.S. Environmental Protection Agency (EPA) document, A Brief Guide to Mold and Moisture in Your Home. To remove mold growth from hard surfaces use commercial products, soap and water, or a bleach solution of no more than 1 cup of bleach in 1 gallon of water. Use a stiff brush on rough surface materials such as concrete. 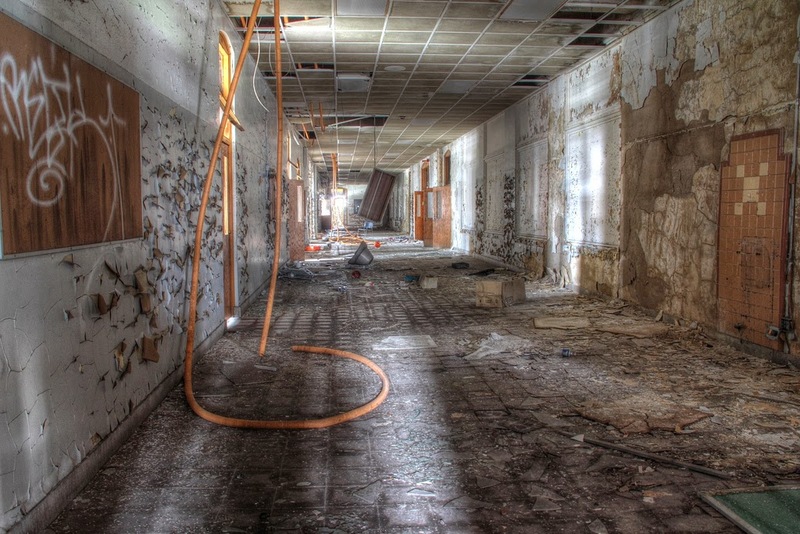 If the area to be cleaned is more than 10 square feet, consult the U.S. Environmental Protection Agency (EPA) guide titled Mold Remediation in Schools and Commercial Buildings. Also available is A Brief Guide to Mold, Moisture, and Your Home. Always follow the manufacturer's instructions when using bleach or any other cleaning product. For more information on personal safety while cleaning up after a natural disaster, see Response, Cleanup, and Safety for Workers at Disaster Sites. If you plan to be inside the building for a while or you plan to clean up mold, you should buy an N95 mask at your local home supply store and wear it while in the building. Make certain that you follow instructions on the package for fitting the mask tightly to your face. If you go back into the building for a short time and are not cleaning up mold, you do not need to wear an N95 mask. Epic Cleaning and Restoration is your Top Mold Testing Boston Specialists. Imagine what mold would look like if we were able to see them out in the open air. Here is a unique way to see what your eyes cant see (sometimes). This clip holds a lot of information for those who are going to some tough times with mold in your home. If you believe your children are ill because of exposure to mold in their school, first consult their health care provider to determine the appropriate medical action to take. Contact the school’s administration to express your concern and to ask that they remove the mold and prevent future mold growth. If needed, you could also contact the local school board. CDC is not a regulatory agency and does not have enforcement authority in local matters. Your local health department may also have information on mold, and you may want to get in touch with your state Indoor Air Quality office. Information on this office is available athttp://www.cdc.gov/nceh/airpollution/indoor_air.htm. Avoid breathing in mold or mold spores. In order to limit your exposure to airborne mold, you may want to wear an N-95 respirator, available at many hardware stores and from companies that advertise on the Internet. (They cost about $12 to $25.) Some N-95 respirators resemble a paper dust mask with a nozzle on the front, others are made primarily of plastic or rubber and have removable cartridges that trap most of the mold spores from entering. In order to be effective, the respirator or mask must fit properly, so carefully follow the instructions supplied with the respirator. Please note that the Occupational Safety and Health Administration (OSHA) requires that respirators fit properly (fit testing) when used in an occupational setting; consult OSHA for more information (800-321-OSHA or www.osha.gov). Wear gloves. Long gloves that extend to the middle of the forearm are recommended. When working with water and a mild detergent, ordinary household rubber gloves may be used. If you are using a disinfectant, a biocide such as chlorine bleach, or a strong cleaning solution, you should select gloves made from natural rubber, neoprene, nitrile, polyurethane, or PVC. Avoid touching mold or moldy items with your bare hands. 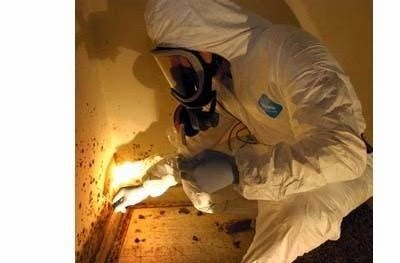 How Do I Know When Mold Removal or Cleanup is Finished? Ultimately, this is a judgment call; there is no easy answer. If you have concerns or questions consult our Frequently Asked Questions database and ask a question if you don't find what you need. Many homeowners are becoming more proactive and involved in home repairs or cleaning projects, but mold remediation should always be left to the professionals. Mold is extremely hazardous to your health and only experienced and trained professionals have the ability to effectively remove this fungi form your home. If you want your family to be safe, you must opt for professional mold removal. Almost everyone has heard of mold, but are not quite familiar with what it is exactly. 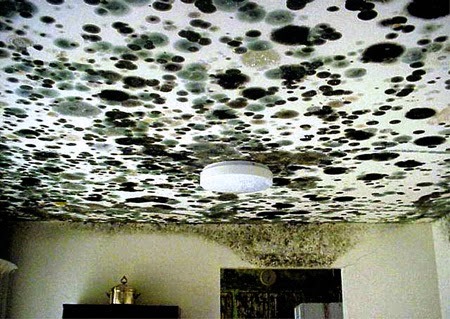 Mold is a type of fungi or fungi-like parasite that can be found within homes or other structure types. It is important to note that molds live off of both dead and living organisms. Not all of it is harmful, but most can be. This means that you should take proactive steps to ensure that mold is kept out of your home. When it begins to grow within your home, you will likely start to experience significant health problems as a result. Many of the common health problems that the presence of mold can account for include allergies, rashes, asthma and respiratory infections. If you have noticed any of these health signs, you should call on a professional mold removal specialist now. The fact is that once mold start to grow within your home, it will only worsen over time if it is not removed effectively. This means that at the first sign of a large problem, you have to turn to a reputable removal service to get the job done right. If you do not have a great understanding of mold or experience with mold remediation, you should not try to get rid of your problem on your own. When you notice health problems caused by mold growth, you need to choose only expert-level professionals. Experience is the factor that matters most when you are choosing between professional mold removal experts. Those with experience know the most effective methods to get rid of mold removal long term. This means that safety is always maintained at all times during the removal process. 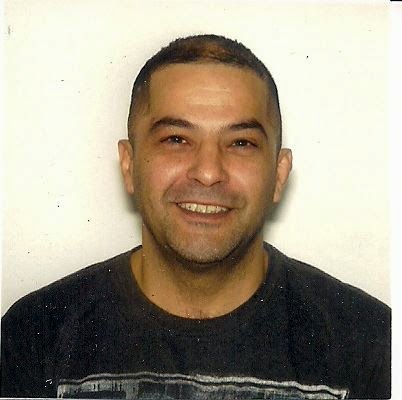 Only trained and skilled professionals have the knowledge needed to get rid of your problem fast and accurately. Trying to get rid of mold on your own will only lead to a larger problem and risk to your health, which is not worth saving a few dollars. 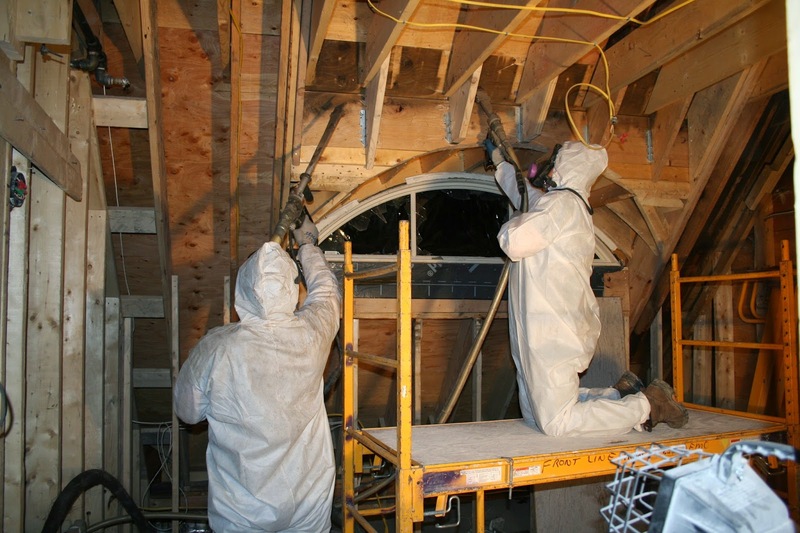 A simple search like Mold Remediation Boston is all that is needed to find some great professionals. Mold can grow in homes located in any region, but some areas are simply more at risk for mold growth than others. If your home is located in areas with wet conditions, you likely require a periodic mold inspection to ensure the safety of your home. Most rain areas have high humidity that simply makes water damage and mold issues extremely more common. This means that you need access to a mold removal specialist to get rid of mold that grows in your home. Why is Mold Growth Harmful? Mold is a type of fungi that thrives off of living and dead organisms. The high humidity in certain areas only increases your risk of mold growth within your home. Mold growing in your home can lead to mold exposure that results in asthma, respiratory problems, rashes or allergies. Your health problems caused by exposure can range in severity. However, the only way to be completely safe is to have regular inspection services performed on all areas of your property. Not only can it begin growing in visible areas of your home, but it can also grow in crawl spaces. The fact is that mold can grow indoors and outdoors. There are many different species of mold, but mold growing indoors can be extremely hazardous to your health. It’s growth only worsens over time if nothing is done to have it removed effectively. Mold can grow in many different conditions and can return once it is removed. This means that frequent inspections are the only way to ensure that this fungi is kept at bay. It grows most effectively in wet, damp and humid conditions. This means that if you live in wet and humid areas, you are most at risk for mold growth. Not everyone responds the same way to mold exposure. However, it is common for some type of adverse reaction to occur. The first signs of reaction to mold exposure may be mild and include nasal stuffiness or minor eye irritation. However, your symptoms may worsen to respiratory problems and allergies that even have the ability to cause death if mold is not removed and constantly inhaled. The only way to ensure that your home located in a wet and humid area is safe from mold is to have it professionally inspected frequently. A simple search like Mold Testing Boston is all that is needed to find some great professionals.